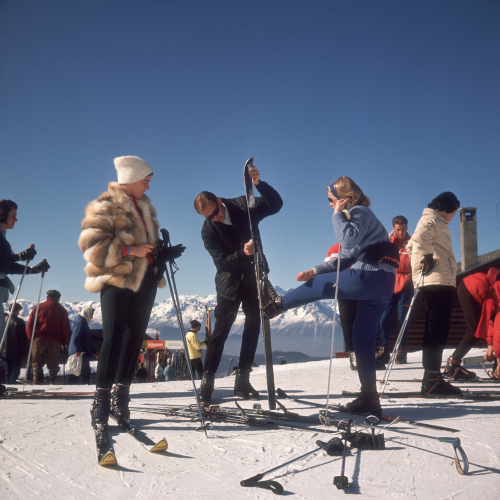 Slim Aarons’s photographs of the wealthy at play defined a golden era of postwar celebrity. Aarons worked mainly for society publications, taking pictures of the rich and famous both before and after serving as a photographer for the US military magazine Yank during World War II. His work has been included in the publications Town and Country, Holiday, Venture and LIFE. 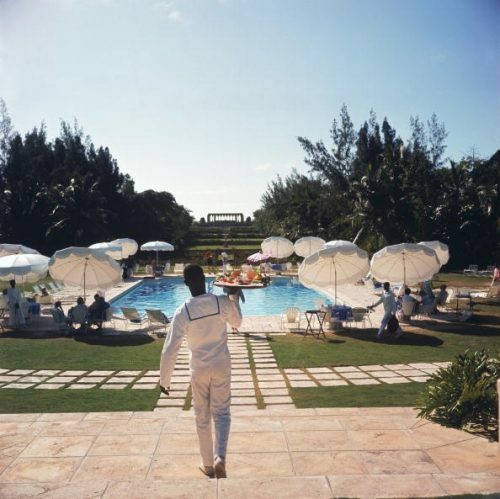 Slim Aarons was known for the positive portrayals he gave to the people he photographed and was invited to high-society gatherings for exactly this reason. His subject matter covered American and European society as well as nobility and both minor and major stars of the day. He once defined his job as “photographing attractive people doing attractive things in attractive places”. 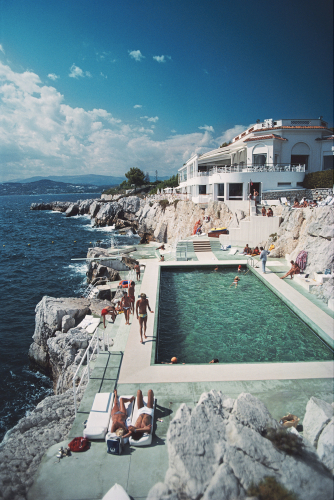 The Slim Aarons Gallery is part of the Getty Images Gallery collection. These prints are produced from the original negative wherever possible, in a darkroom by highly skilled technicians and are hand retouched, print by print. All photographs are printed and authorized by the Getty Images Gallery, London. All prints are Open edition, certified by the Getty Images Gallery, please allow a few extra days for production, framing and delivery.